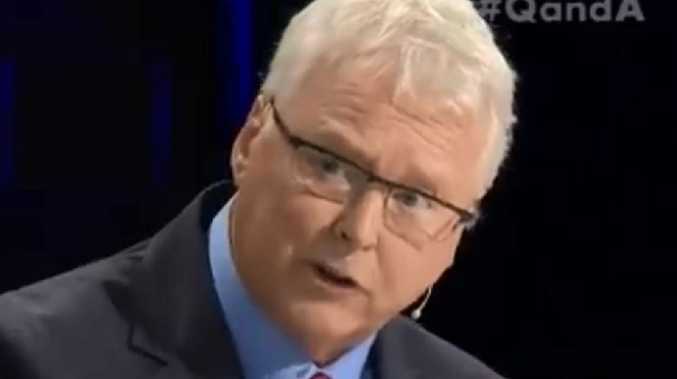 Tonight’s Q&A opened with a sombre discussion on the Christchurch shootings — and soon sparked a tense exchange between host Tony Jones and a Liberal panellist. Last night's Q&A; opened with a sombre discussion on the Christchurch shootings - but soon sparked a tense exchange between host Tony Jones and a Liberal MP guest. During the show, Minister for Emergency Management Linda Reynolds was called on to address claims Scott Morrison suggested the Liberal Party capitalise on anti-Muslim sentiment in Australia almost a decade ago - a claim the Prime Minister's office has strongly denied. The claim, which originated in a 2011 Sydney Morning Herald report, was raised by The Project's Waleed Aly in an emotional address on the night of the New Zealand shootings. When pressed by Jones for comment on the claims, Ms Reynolds slammed his line of questioning as "inappropriate and tacky". The Minister said she would "caution all commentators … and politicians … to be very careful with your words". The issue was raised on the back of a question about whether political rhetoric was partly responsible for a rise of Islamophobia in Australia. Asked if she agreed that politicians were using fear for political purposes, Ms Reynolds declined to answer directly, instead recalling a speech she gave to the Senate regarding Labor's amendments to the medivac bill last month. "I was literally almost physically ill when I saw some of my Senate and House of Representatives colleagues in the chamber cheering and high-fiving the passage of these amendments," she said, referring to a bill that would give doctors greater authority to evacuate asylum seekers from Nauru and Manus Island to Australia for medical treatment. "I was one of the few who has lived through terrorism and the impact up in the Bali bombings, I was up there, I saw, I smelt and I got to understand the what was happening." The ABC host interrupted: "Are you drawing a link between the Bali bombings and refugees coming to Australia for medical services?" "What I'm saying is having my colleagues cheer for this policy that will inevitably lead to the boat trade coming again," replied Ms Reynolds. "My point is this, Tony, is that there are people out there who commoditise other human beings … they are people who do not deserve our respect or compassion. They are people we have to stand up to and stop. But we absolutely have to reserve our compassion for those who are genuine refugees and like we have always in this country, we have brought people in who genuinely need our help." "You didn't really answer the question," responded Jones, referring to whether she'd be disturbed if she discovered Mr Morrison had indeed ever suggested capitalising on Islamophobia to win votes. "The PM has been very clear tonight it did not happen," said Ms Reynolds. "It simply did not happen." And in a swipe at Jones and Aly, she added: "My bigger point is for anybody to try and politicise this issue now, while events are still unfolding in New Zealand, is inappropriate and tacky." At that, Jones quickly moved on to the next question, which concerned the Townsville floods. Ms Reynolds also copped significant criticism over the segment, with social media users deeming her medivac bill tangent a "disgrace" and "bordering on obscene". Former One Nation senator Fraser Anning was unanimously condemned on tonight's Q&A over his "despicable" comments in the wake of the Christchurch shooting. Liberal Senator Linda Reynolds said she would "call on all of her Senate colleagues to support the censure motion" against Anning, adding that "what he said and what he physically did have absolutely no place in our country". Asked if he should be thrown out of parliament, she said it's "an issue for Queensland voters in two months". 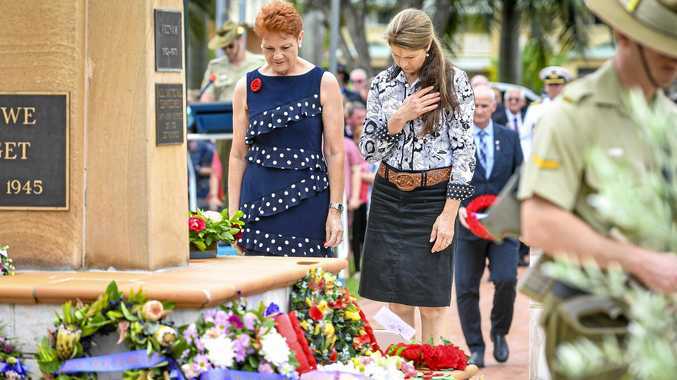 Labor MP for Herbert Cathy O'Toole added: "This is not the time to play the blame game but this is the time to say that when we hear hate speech, we call it out. It is unacceptable. It does not happen in this country or New Zealand - we are better than this. We are a nation that has been built on immigrants and we need to value that and be very thankful for that." Steve Williams noted he was "completely shocked" by the Christchurch shooting, and added that he was "almost equally shocked to see an Australian politician get up and say the things that he did". "It completely blew me away," he said of Anning. "I guess my only real comment, which is a bit flippant I know … is all hail Egg Boy." His reference to Will Connolly - the 17-year-old who became a social media hero after smashing an egg on Anning's head - drew cheers from the audience. Ms O'Toole went on to urge Australians to "take the time to understand their neighbours". "Talk to people of different faiths and different communities. Get to know them … We are measured by the standard we walk past and we are a much better nation than what we have seen in past times."